The “Custom Batons” company started in Charles Olson’s basement back in the early 1970's. At the time, conductors everywhere were accustomed to using any old stick as a baton. Mr. Olson wanted a better conducting baton for his own use and since no one made a really fine baton yet, he decided to make one for himself. After years of tinkering and perfecting the design and construction of conducting batons, Mr. Olson developed a reputation as the best baton craftsman around. Starting with his colleagues and fellow directors, word spread that Mr. Olson was building batons like no one had ever seen before. The batons were well balanced, beautiful, and custom designed. The fine quality and excellent design of these batons drew customers first locally, then expanded regionally and even internationally. Having conducted wind ensembles for years, Mr. Olson developed a reputation as an excellent conductor as well as an excellent baton craftsman. Fellow conductors everywhere started to trust that Charles Olson was the authority on fine conducting batons. Today, there is a much broader selection of conducting batons, but nothing quite compares to an “Olson” baton. In 2006, Mr. Olson "passed the baton" on to his understudy, Chris Blount. At that point, Chris took on the ownership and responsibility of Custom Batons. Since then, "Custom Batons" has added customers in every state in the U.S.A and 45 different countries. Continuing the proud tradition of fine craftsmanship, Chris builds each custom ordered baton with the care and attention to detail passed on to him by Charles Olson. "Baton Whisperer" baton builder, Director of the Concert Bands and Associate Professor of Music at MSU Mankato, teacher of graduate and undergraduate conducting, guest conductor and clinician, founder of the Minnesota River Valley Wind Ensemble. 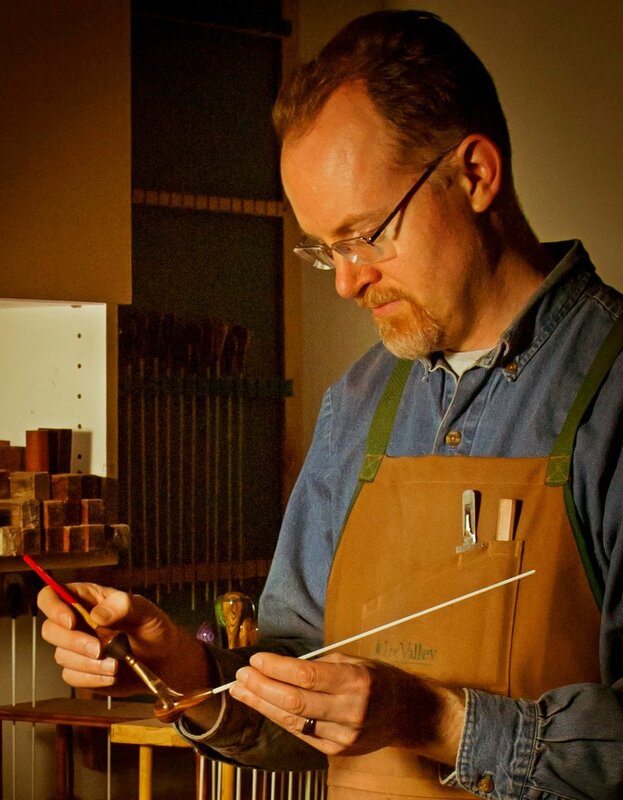 Baton craftsman, conductor and professor of instrumental conducting at Bethel University, trumpeter, clinician and adjudicator for contest events. 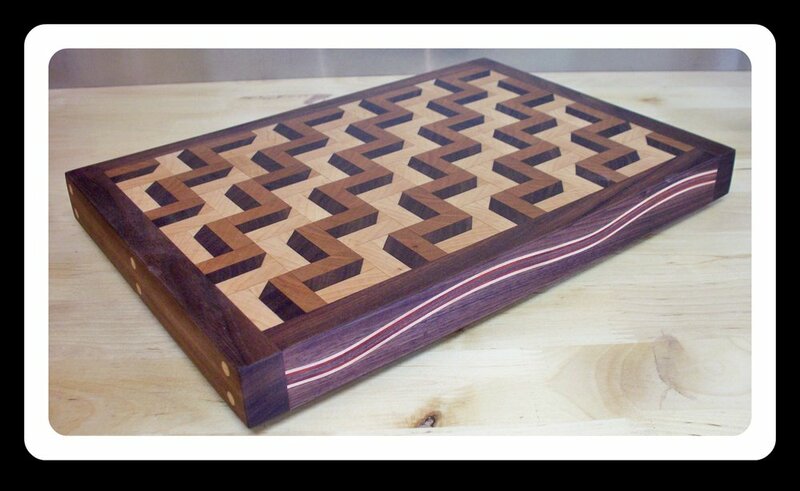 Baton Craftsman and builder of many other fine wood products including this award winning cutting board.